Is your pet in need of grooming? We now have grooming services available during Vaccination Station clinics at all Russell Feed & Supply stores, except our Decatur location. 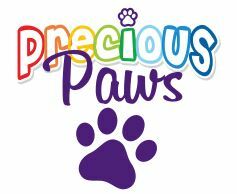 Precious Paws Grooming offers Dog and Cat Nail Trimming, Dog Ear Cleaning as well as Toothbrushing. Prices vary depending on size and type of animal. Click here for pricing. No appointment is necessary. Precious Paws groomers will be available at each monthly low cost, mobile vet clinic scheduled at all Russell Feed locations in and around Fort Worth. Visit our Vaccination Station page as well as Precious Paws Calendar of Events for a schedule of upcoming clinics and groomer visits.